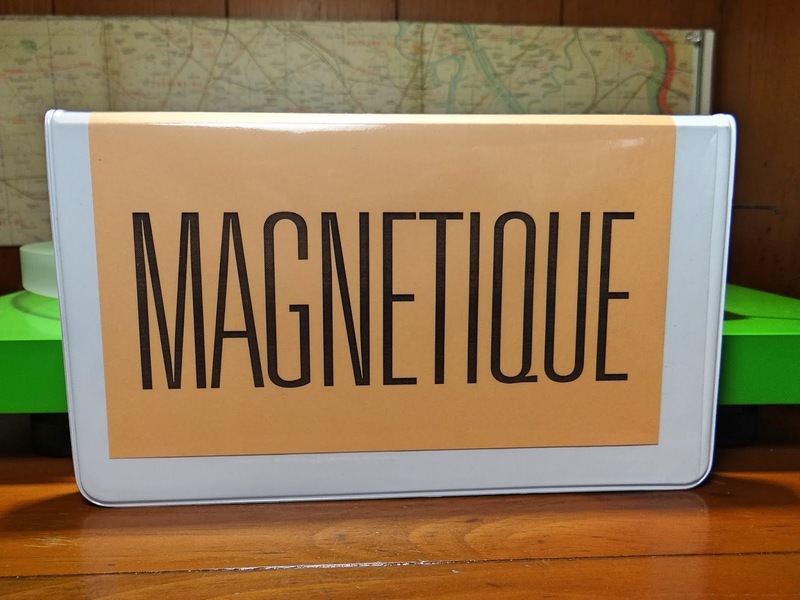 Here is a box set of extremely high caliber meditative music by Tristan Magnetique. 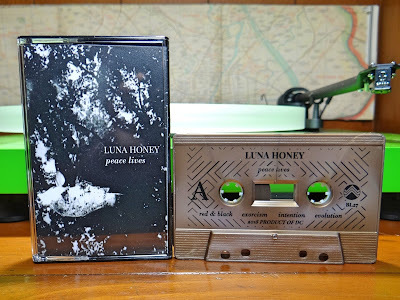 If you are interested in finding physical copies, apologies to be made at this instant. The forty copies created sold out speedily. These were gone before Lost in a Sea of Sound received a copy, so this description ratcheted down one notch in the sense of urgency. But this composition should not fall into obscurity, an important collection of works reflected in the exquisiteness of the sounds within. A lengthy set, roughly an hour and a half of recorded music, matched in magnitude by sheer creativeness in diverse tranquility. 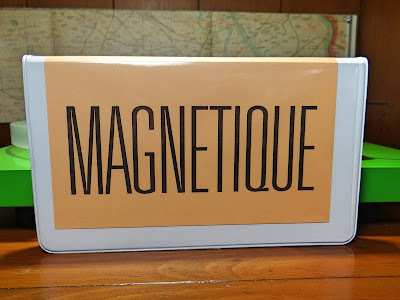 When thinking of the name of this set, Tristan Magnetique, the first question asked is, who is this. Seems like a person, not a project or band. This box set on the label Otomatik Muziek is the first recorded works of Tristan. 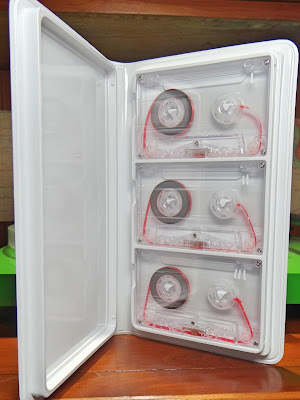 Maybe the label found original cassettes in a thrift store or a music collection lost over time. There is the story of the unknown artist Blind Joe Death. One hundred copies on 78 RPM were made, some sent to friends, music aficionados, others placed in record stores and thrift shops. The man behind this was legendary guitarist John Fahey. He created the fictional character Blind Joe Death and caused a stir around interested circles. 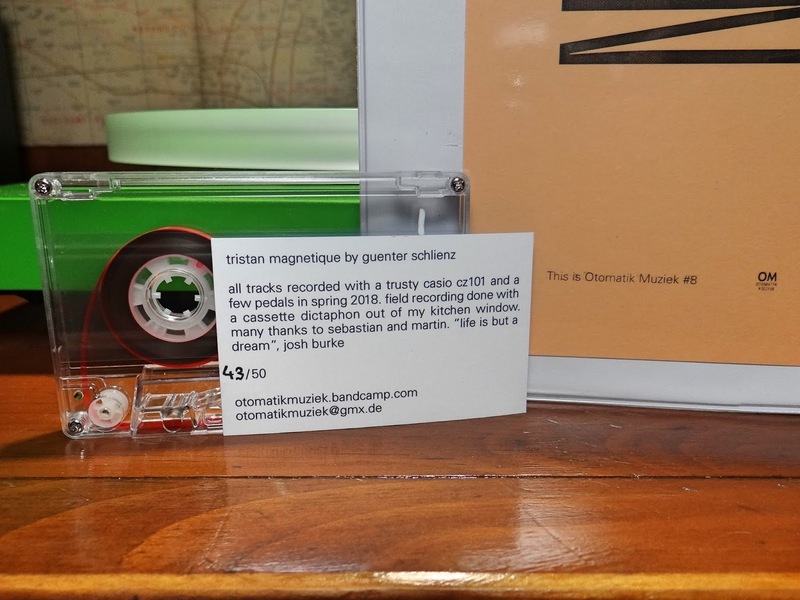 Tristan Magnetique could be a similar story, just based in the world of ambient music, not primitive guitar. Listen first and try not to read too much. See if you can make a connection to modern artists with sublime capabilities. 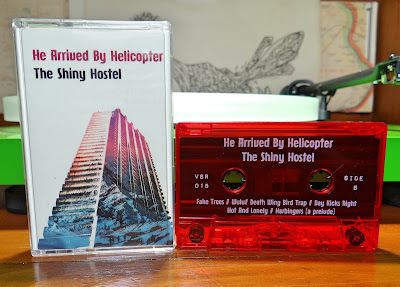 Three cassettes in total, all side long tracks, sounds flowing with cohesion, maintaining allure with skilled variegation. 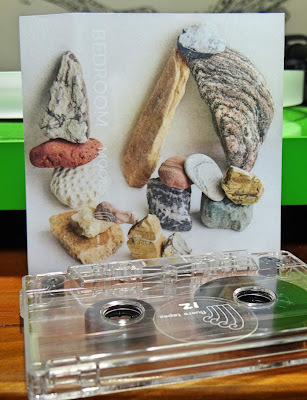 You can blast this descriptive oxymoron before it is even written, "vintage new age throw back quality" of a Casio CZ101 interwoven with field recordings. Tristan Magnetique channels past ambient pioneers with a push towards spiritualism. Almost expect to hear Sri Swami Sivananda recite "You are the architect of your own fate. You are the master of your own destiny. You can do and undo things. You sow an action and reap a tendency. You sow a tendency and reap a habit. You sow a habit and reap your character. You sow your character and reap your destiny. Therefore, destiny is your own creation. You can undo it if you like-destiny is a bundle of habits." 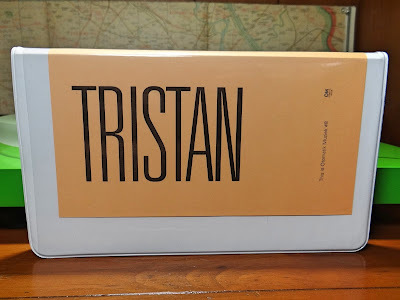 Just thoughts from the canvas Tristan Magnetique paints. There are moments when the nostalgic ambient float is interrupted by field recordings. Sometimes these are determinable, but other times these interludes are other worldly. 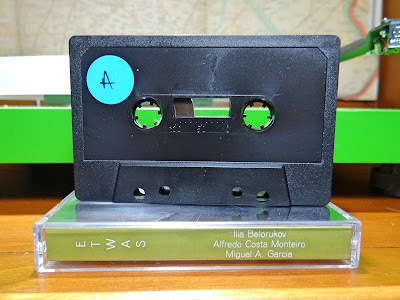 Woven with the Casio's melodic timbre and with the length of the total composition, realities exposure or some form of reality is like chapters in a book. They do not correspond with consistent points in the three tape set, they happen almost sporadically. These sounds are beautifully simple yet exceptionally skilled. 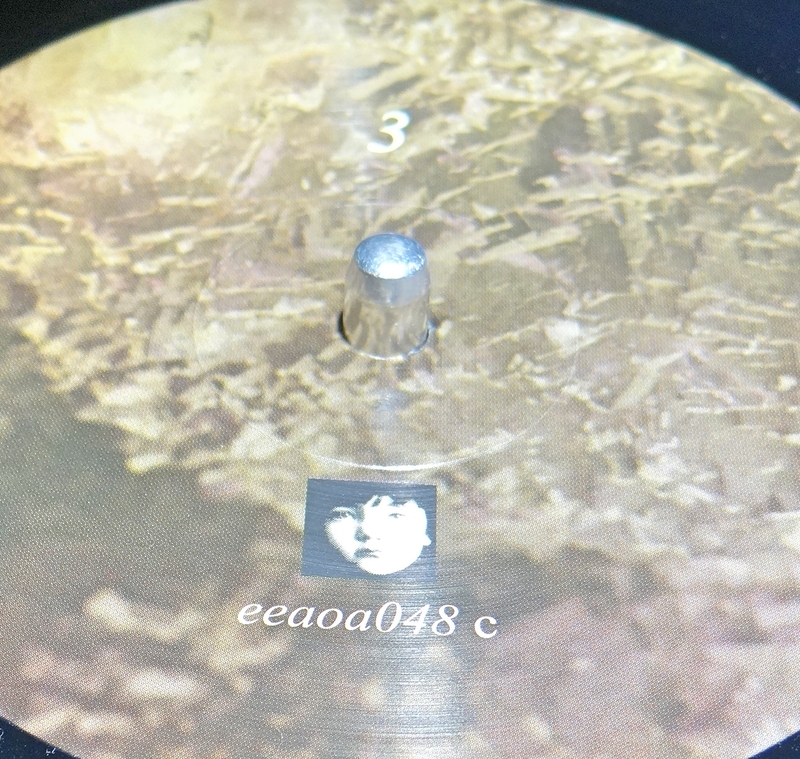 One of 2018's ambient gems. Released on the labels Otomatik Muziek together with Cosmic Winnetou, both from Germany. Forty copies total, all sold out quickly. There is still the digital and it is absolutely worth a full listen. Also Be sure to keep an ear turned towards future releases form Otomatik Muziek. Their ninth releases is the only one still available in the physical, Nils Quak's heavy experimental ambient tape titled Form Phallus Function. 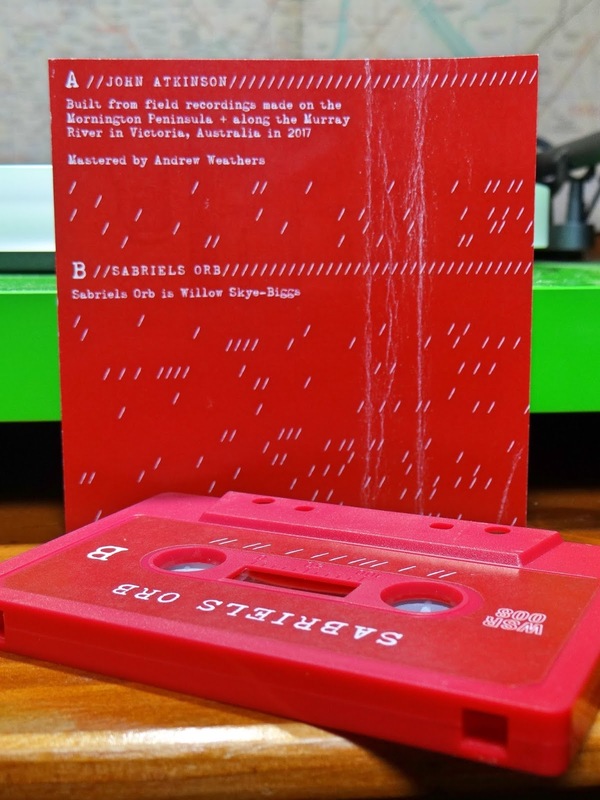 Also soon to arrive Hardtack Oak's Cold War Nostalgia, but can not locate a sound sample for this release yet. The dazzling world of ambient attributes. An aural landscape extending in infinite directions, sonic ridges or indentations drawn like lines across the vastness. Solid features, their beauty clouded until perspectives reach above. Bedrooms has pushed forward into the consciousness. When the tape ends, a sonic moraine has formed. Notes like earthly debris left resonating in after thoughts. These tracks are fully organic, hearkening to eras gone before. Billions of years of movement, current deliberations will only shallowly understand. 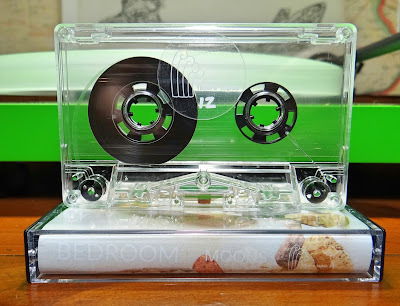 This cassette titled Moons is special. Michael Chau as Bedroom capturing sounds from distant reaches. His use of the tangible, piano, vibraphone, chimes, even beats at times, landing Moons directly in the forefront of the mind. Combining this approach with synthesizer and patience, produces an ambient soundscape exuding corporeal distinction. The ethereal undertones have been grounded, pulling Moons through the accumulation of sediment many mid seventies, early eighties new age music lie. There is a connection, before computers and software the physical process of analog creations covered the surface. Michael Chau has gone back, unearthing forgotten tone and timbre, polishing a composition of beauty. 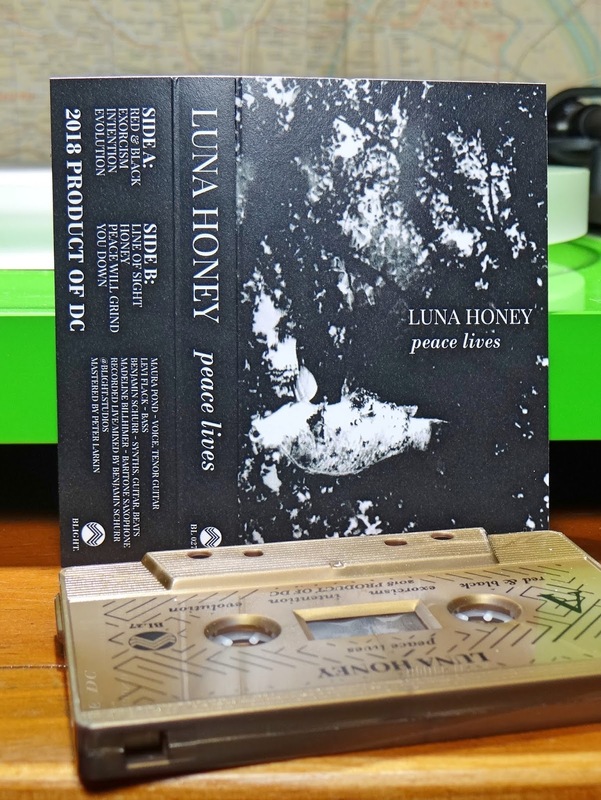 Throughout the entire forty five minute album, Moons stays on the path. Only a few moments of disruption or vexation lay heavier, most likely from traversing steep aural precipices. Enough diversity to keep attention heightened, with the larger magnitude of sound time exploring rarities of creation. This tranquility is for real. 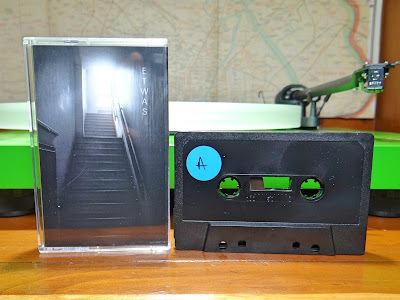 Very recently released on fluere tapes out of Stockholm, Sweden. This is number twelve for a label that started almost five years ago. Of all the previous releases, Moons is the only cassette available. 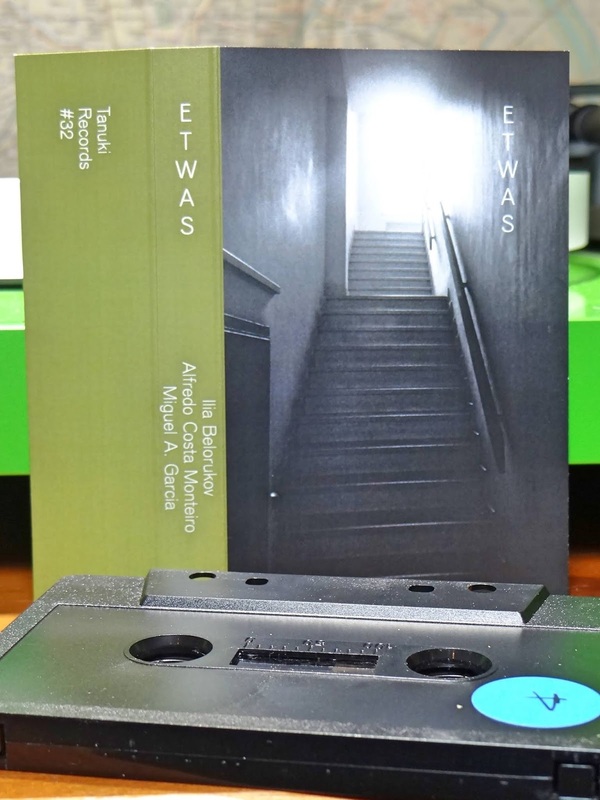 Michael Chau as Bedrooms has had previous releases on the dearly missed Tranquility Tapes label. This has been over four years now. Be sure to order a copy from the label, a source of radiant ambiance that will most definitely be gone in physical form. Finger picking, Americana, pop, world vibe.... The new release by He Arrived By Helicopter is collection of well done pieces. Christian Gibbs, the creative force, flying listeners from country to city, across land and sea. 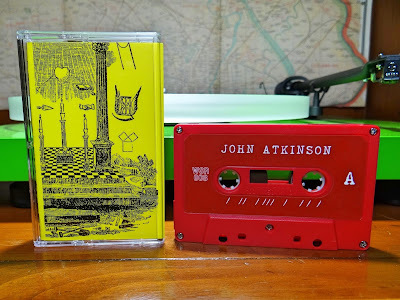 There are moments of guitar genius, sounding like this is a Tomkins Square release, but those flicker to the divine pop feel of something from MJMJ Records. But for the world eclectic sound, right at home on Very Special Recordings. The Shiny Hostel is a difficult diamond to describe. Too many cuts creating a myriad of facets, all polished and beaming sonic splendor. The best place to begin is probably the guitar playing tracks. There a quite a few of these gem stationed throughout the twelve tracks. All with different sensibilities and flares. 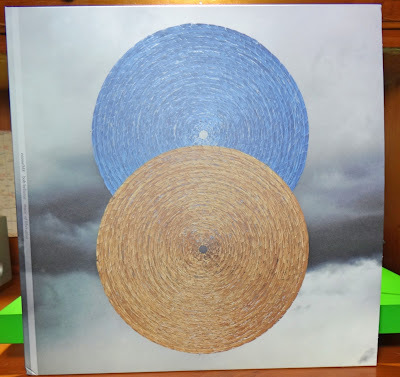 Think of deeply felt string vibrations of Michael Hedges, but sometimes the more traditional connections of Glenn Jones and Jack Rose. The two stand out vocal tracks, Cold Damn Truth and Hemoglobin are simply dazzling. Christian can sing with a beautiful high register which is especially potent when dropping to the chorus and Cold Damn Truth. Wonder why this song is not currently on some college of alternative chart? The last track Hot and Lonely sums up the diversity of this record. Rhythms and sounds pulled from Africa to Polynesia in a Very Special Recordings kind of way. 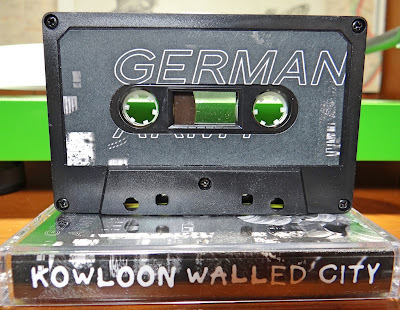 Released on VSR on September 14th in cassette from. There is also green vinyl and compact disc available from He Arrived By Helicopter's website. If you are checking this out be sure to look at upcoming shows in Switzerland, Germany and finally New York. From deep inside the walls, vibrations resonate. Sounds from the outside are muted and not comprehensible. This is the station of the masses, outside noble strongholds, ceremonies within are left for wonder and speculation. German Army has opened up a window, a place to hear the proceedings clearly. These temporary gateways have been occurring all over the world and for well over a decade now. Hearing the services within completely fills expectations and goes on to transcend imaginable boundaries. The populace gives thanks. 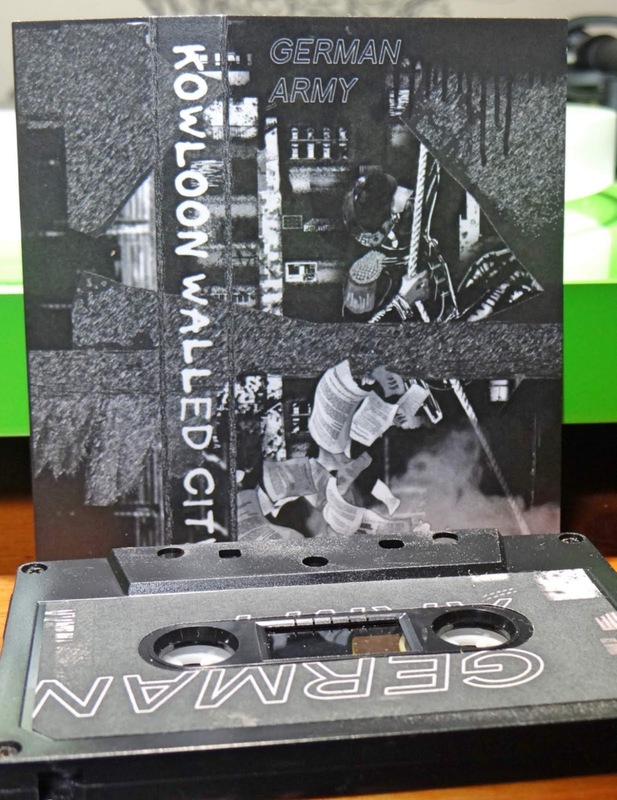 Thirteen tracks in roughly forty five minutes makes Kowloon Walled City a diverse and lengthy composition. With so many tracks, there are moments diving into circuitry and static, but the electronic haze has been slightly turned down for this record. The articulate percussion seems to take center stage. Like some ritualistic right of passage, listeners feel the stately heaviness. Gamkonora, Waioli and Sahu are three selections emphasizing this observation. The same could be said for so many German Army releases, but Kowloon Walled City does tick to the tribal side of aural landscapes. Going back through decades of bands and sounds, this recording connects, growing from the roots, creating new beauty. 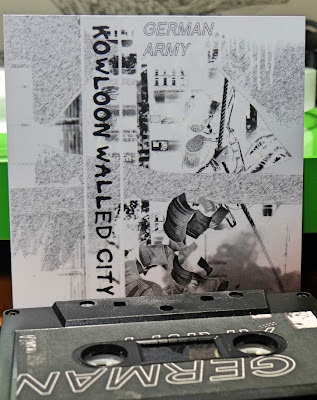 Kowloon Walled City is still an available German Army tape, but quantities are getting very low. A late September \\NULL|ZØNE// release from Athens, Georgia in an edition of fifty. Solid from start to finish. 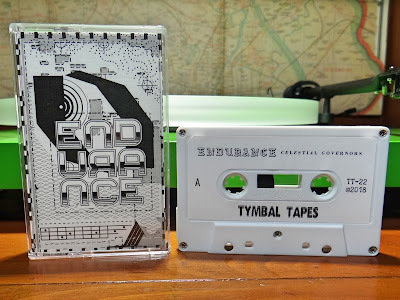 Endurance put the sounds to tape this year, and 2018 is not even over. Was interested so took a quick look. 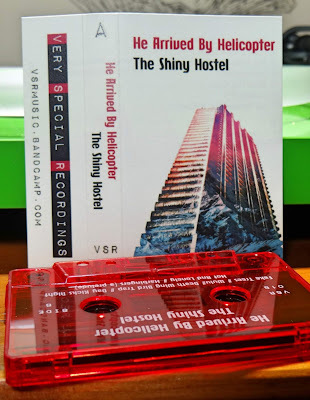 Here is a summary, all this year, in cassette medium as well as digital. 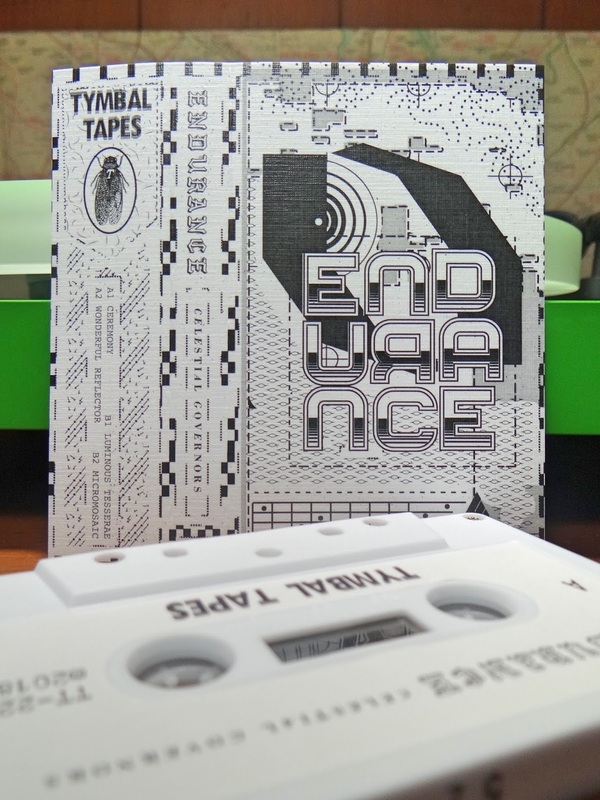 The Wandering of Days [Third Kind Records] - sold out from the label but a couple copies are still available from Endurance's bandcamp page. Minimum States [Metaphysical Circuits] - sold out from the label and Endurance's bandcamp page. 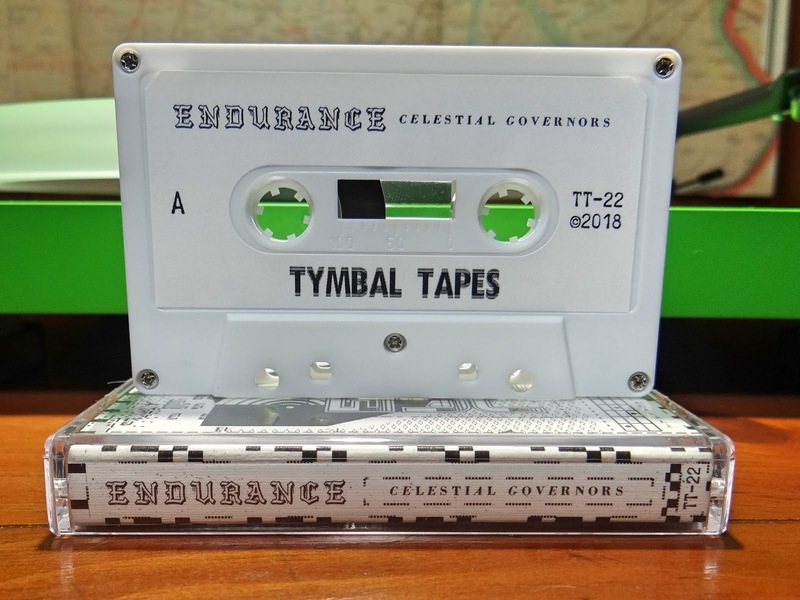 Celestial Governors [Tymbal Tapes] - sold out from the label and Endurance's bandcamp page --- writing now! Yes, this is a tangled paragraph of information with links galore. Any more output this year by Endurance and a spread sheet will be needed. 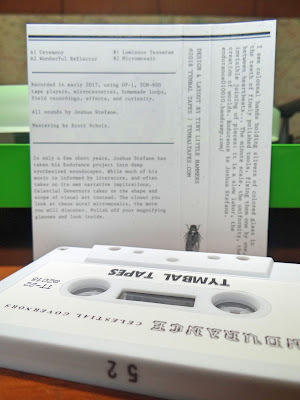 Focusing on this cassette, Celestial Governors, is something Lost in a Sea of Sound wanted to do earlier, but copies sold out quickly. The necessity for quickness was abated. 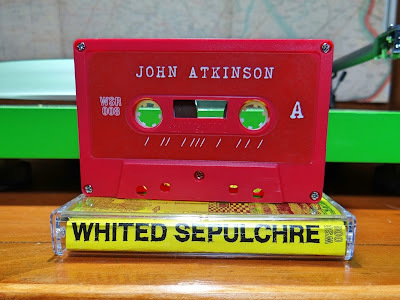 Possible reasoning, could be a combination of both Endurance hitting this 2018 stride and Tymbal Tapes almost year long sabbatical in cassette releases. So the above paragraph, the tracking archive Endurance's movement through 2018. 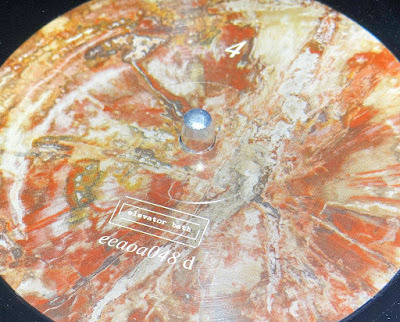 Celestial Governors is four tracks totaling almost fifty minutes in sound. 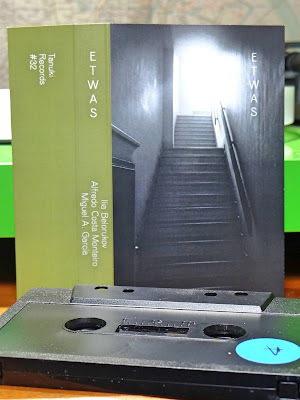 There are aspects of this composition that tie directly into a consistent sound from Joshua Stefane, especially in review of the output this year. For the most part, these four tracks have more emphasis on the physical. Weighty ambiance lifting just above the nebulous drone, only to see the wake of sounds rippling outward. Gravity is too powerful and pulls this aural time space into an almost mechanical heaviness that permeates the space beyond. 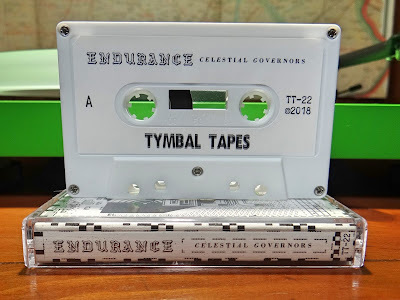 It feels like Endurance has landed at the Tymbal Tapes HQ and sounds are being absorbed straight to recording devices. This is a great direction for Joshua, closing in on the center line between the ethereal and the earthly. Stabilizing the aural landscape allows consciousness too choose individual directions to explore. Music becomes the medium and launching point. Released on Tymbal Tapes at the start of September. Copies are sold out but the digital is ready and waiting to be heard. Please keep this tape on a search list for a physical copy. Excellent. 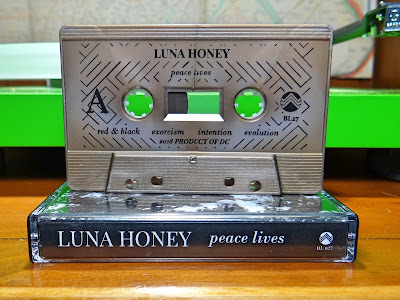 Luna Honey finds the sonic connection spanning the decades. The seven tracks on Peace Lives cover so much ground, it is difficult to place this composition into any particular genre. The best way to describe these sounds would be the feelings they bestow. There is a heaviness in the sense of time worn hardship. The years of struggle have a duality, producing beautiful mournful tones in conjunction with the difficult experiences survived to deliver this emotion so genuinely. The question surfaces, is it worth the sorrowful life to become so well versed? As end listeners, developing an appreciation for somber qualities is made fluid with compositions like Peace Lives. Hopefully the artists can maintain tranquil spirits, after going so deeply in. Peace Lives clocks in at just over forty minutes. Maura Pond's voice is continually mystical and haunting. Luna Honey has many facets throughout, yet fixes itself in the emotional twilight. Rock, punk, goth, modern folk... everything lurks within these tracks. Thoughts of the artist Nico surfaced from her mid eighties offerings like the record Camera Obscura. Another comparison holding ground from the mid eighties, only in pure feeling is S.P.K. 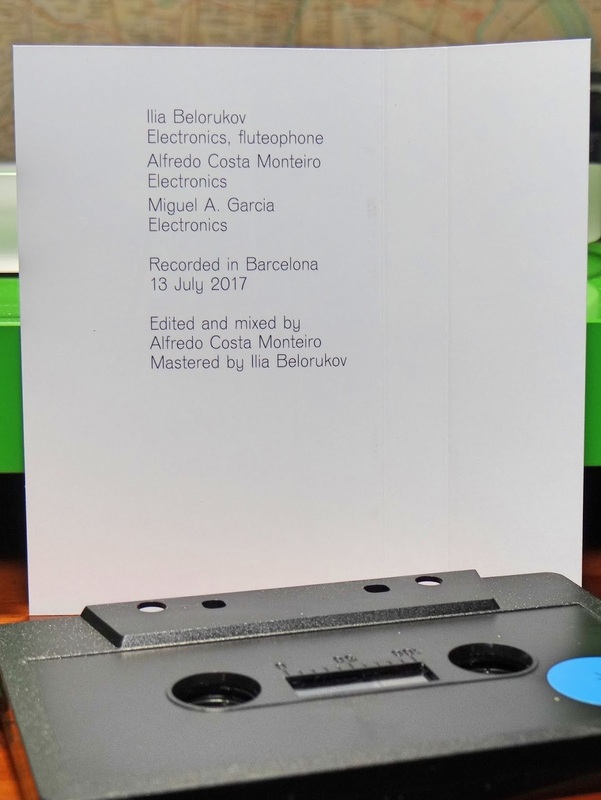 's Zamia Lehmanni - Songs Of Byzantine Flowers. Something about the grandiose effects of a world beyond light, an embellishment from within the sanctuary finally escaping it's sacred restraints. The addition of baritone saxophonist Madeline Billhimer for this record pushed back to another mid eighties band, Treat Her Right. A version of this was mentioned in notes read about Peace Lives. Comparisons are only that, used to pin sounds and their feelings for a brief moment of inspection. 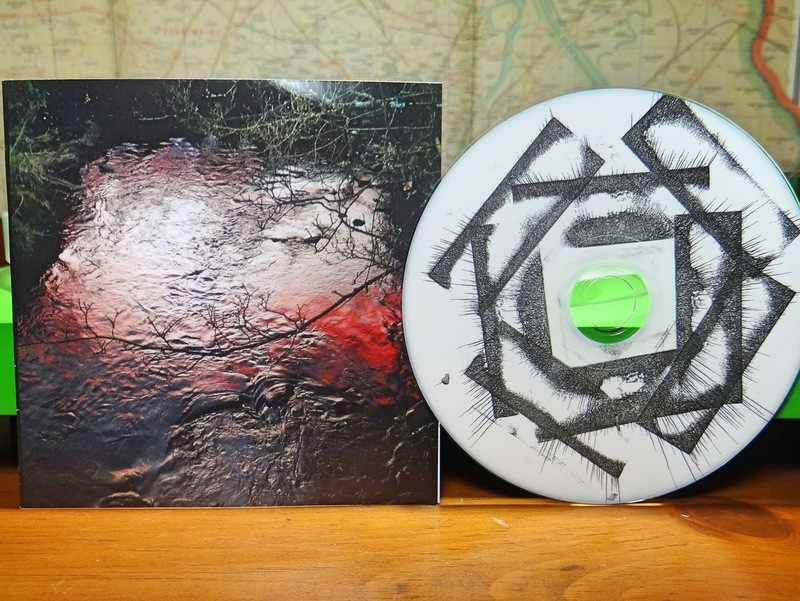 Three artists combining together for a very focused odyssey into an unfamiliar aural world. Although these sounds melt ends and amalgamate into a drone environment, this is not that kind of composition. Listening closely, the sonic fabric Ilia, Miguel and Alfredo weave together is made from finely crafted individual threads. Each sound stitch in a braided pattern with infinite beginning and ends. The details are beautifully apparent, yet incredibly subtle. Brought to life from mediums yet to be fully understood. If you can imagine a noise record with two side long tracks, each over twenty minutes in length, this would be a good start. Now take this aural image and create the negative of it in your mind. Colors are gone, dark shades of grey scale taking their place. The features easily heard, loud and almost violent, have been reversed. New aspects have become audible, these are faint, connecting together in a way so extremely different. Somehow the remnants of noise still can be heard, but there is a unfathomable murkiness each component drifts in. The process produces an ambient fluidity, but maintains individual aspects from start to finish. 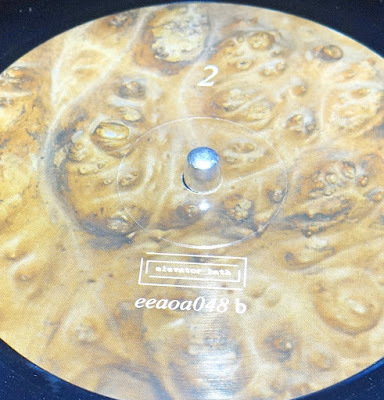 Released on Tanuki Records in an edition of ninety. 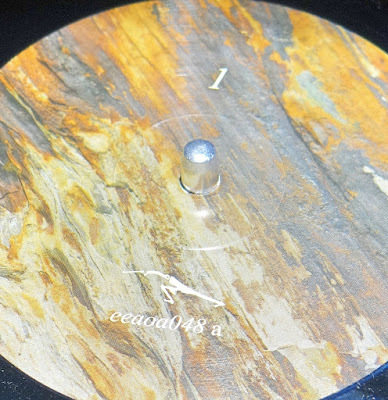 This is release number thirty two for the Belgium label. With the combination of experience and talent Ilia, Miguel and Alfredo have, it is rare to see a coalescence so understated and graceful. Tanuki Records maintains a vanguard station on the thresholds of aural creativity. Copies are currently available. Two and a half years ago, Whited Sepulchre Records released the first of their split cassette series. 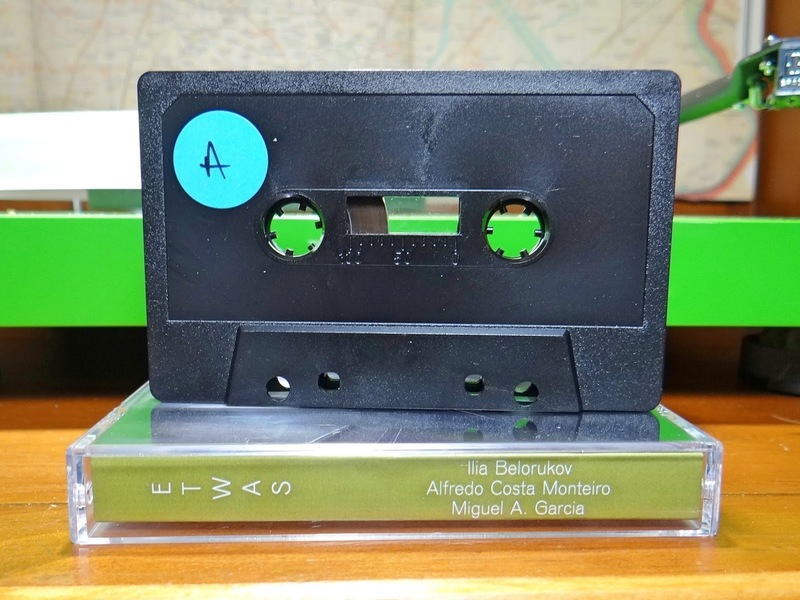 In the mix of four vinyl releases comes the forth in the tape series. If there is a best so far, it would be difficult to say with so much diversity between the eight artists now. If certain sounds pull from indescribable places within, causing feelings to interweave with thoughts, then this is the combination for those locks. Lost in the thick flora of an ambient mire, John Atkinson sounds are the enigma of breath within the stillness. Changes in temperatures between water, land and air cause aural mist to envelope listeners. The densities causing consciousnesses to cloud, alleviated only in the intervals between the next ensuing sonic exhalation. 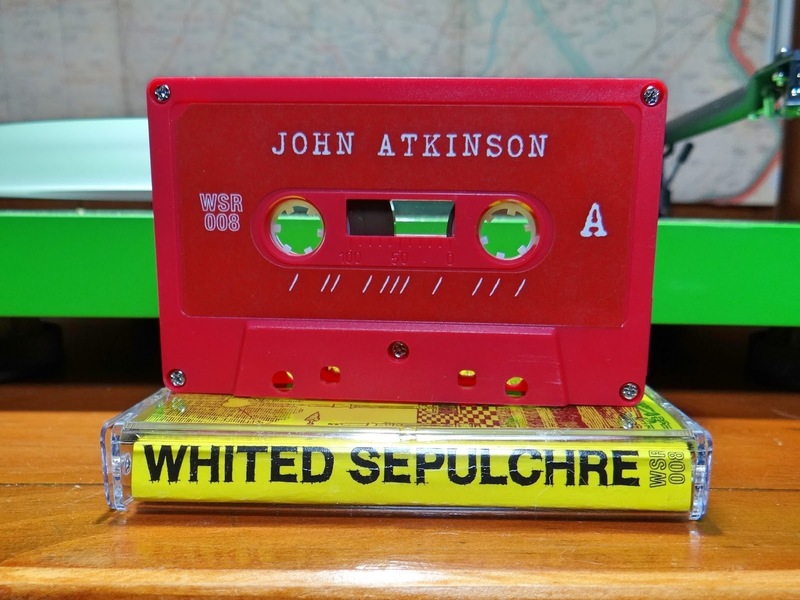 John Atkinson has found the balance in this drone like serenity. Intriguing and so artfully mystique, these sounds instill deep introspection. Two tracks in twenty minutes, a perfect duo for nurturing the mind. Simply to short is the only thought at the end. Willow Skye-Biggs has been a favorite for so long now. She has become even more wise with the sublime sounds as Sabriel's Orb. In the past, Willow's project Stag Hare is like the sparkling sunlight leaves allow to dance on the forest floor. Fantastically prismatic, bright sounds woven with natures immense fabric. A new tranquility is discovered as Sabriel's Orb. 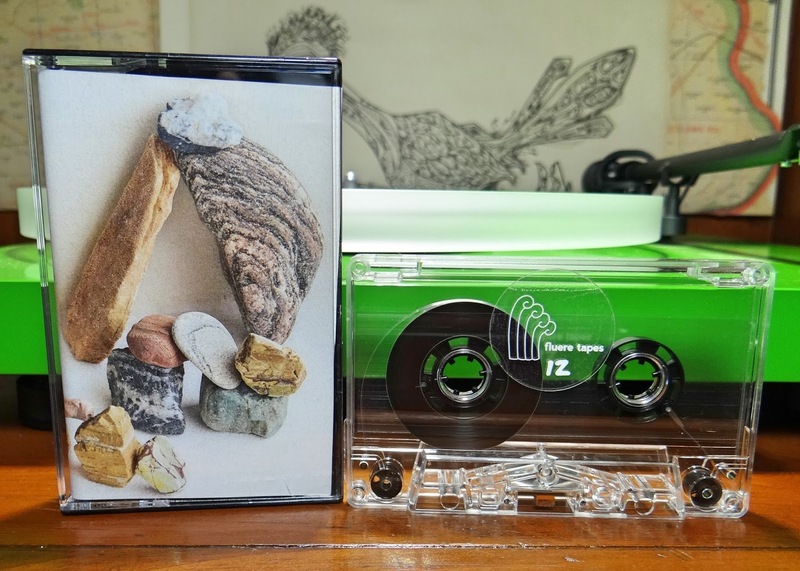 Two beautiful ten minute tracks capturing the stillness of world beginning to wake. These tracks have the most subtle crescendos, like summer waves in the Gulf of Mexico, listening closely, almost unnoticeable. Sounds in synchronous pulsation with radiant energy as the morning light brings shadows forth. Released in an edition of one hundred just over a month ago. 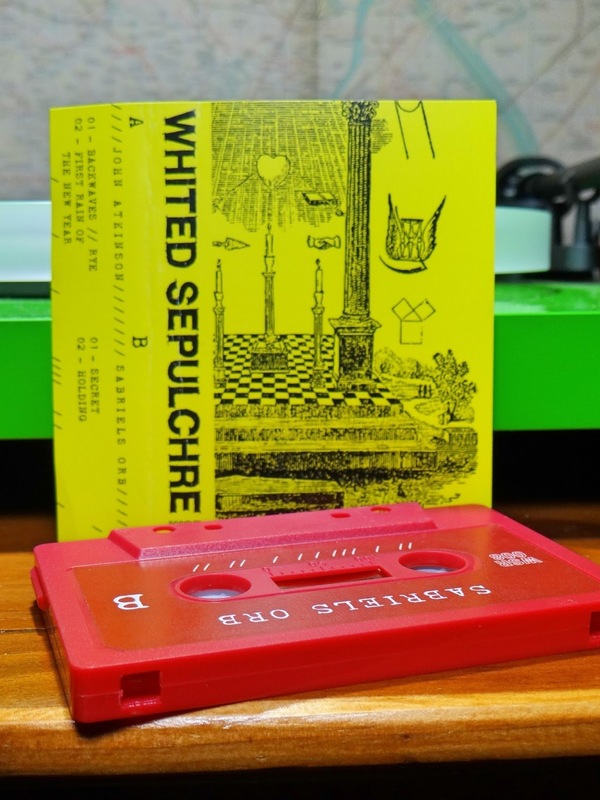 Whited Sepulchre Records is slowly building a discography of exceedingly gorgeous compositions on both cassette and vinyl mediums. This is one you most certainly need to listen to. 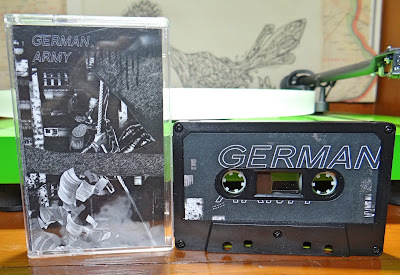 What is this.... A Günter Schlienz release that has not completely sold old within a week! An edition of eighty CDRs released just a little over a month ago. This time on the eccentric Was Ist Das? label from the heart of the southwest, Phoenix, Arizona. 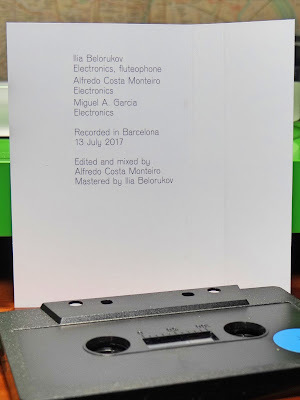 A combination of artist and label fitting together like German watch gears, silently spinning, a microcosm of sounds now brought to audible levels. And as the title implies, Collage Tristes is definitely filled with a myriad of rotating sound parts. It could be a little melancholy, but only in a somber sense, there is only sadness if it is already in your heart. Two tracks, equally divided over forty five minutes. 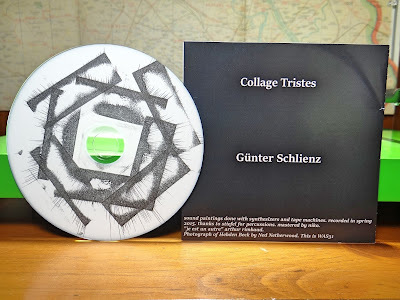 For Mr. Schlienz, Collage Tristes seems to whirl in directions not taken in many of his releases. A collection of magnificent melodies escaping all descriptions. Like looking at time lapsed photo over countless evenings, showing the hues of a setting sun. Both words and pictures struggle to convey the vibrancy of emotion associated with the physical aspect of being "in the place". The transcendent characteristic of this composition is the fine line these sounds perch on. As example, near the end of program un, an old piano radiates forth, the timbre releasing nostalgic sentiment from the consciousness. Each listener's experience will be different, both happiness and sadness present and intertwined in so many thoughts. 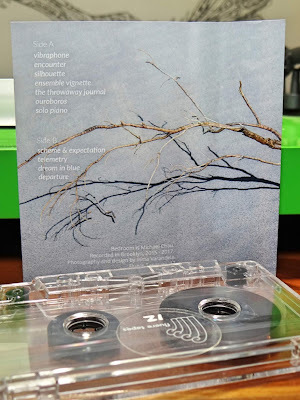 Collage Tristes pushes gently on the sentimentality we all possess, each transition in sound creating contemplative pathways for all to follow. 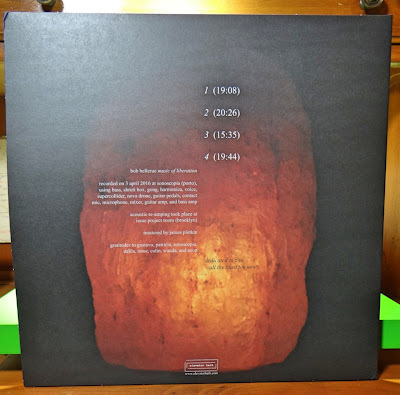 The entire album going to the depths Günter Schlienz can fathom. The changing density of the medium is the only difference with Collage Tristes. Was Ist Das? 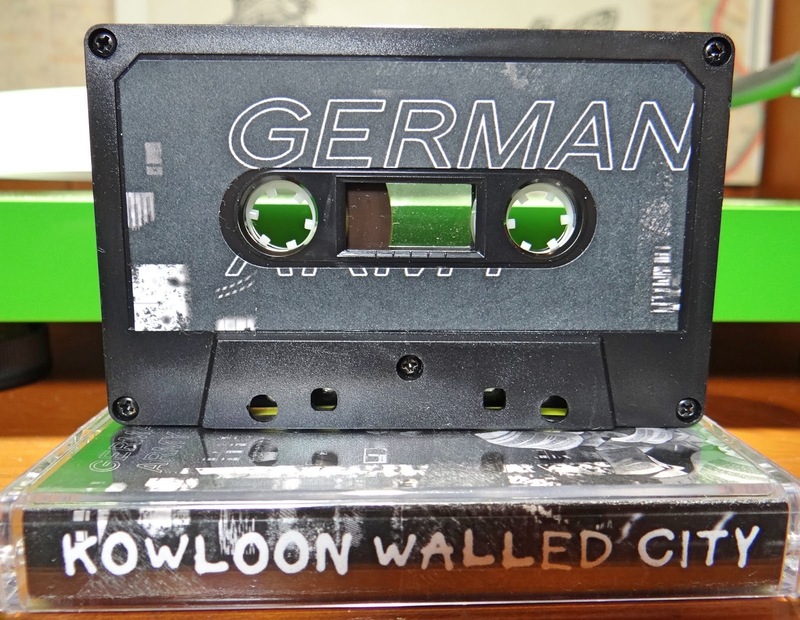 still has a few copies of this CDR still available on their bandcamp page. Once there, be sure to go to the website, so much love and work for describing and promoting music in creative fashions. Bob Bellerue works in the sonic fields harvesting sustained notes and patterns. Over the years, bounty and scarcity are intertwined. Weathering emotions reveal themselves in aural bliss or upheaval. The new double lp titled Music of Liberation, follows these patterns. The facets continually changing, from a meditative mantra in form of timeworn drone to post industrial noise, pounding beats dissolved long ago. To describe Music of Liberation as monumental would be inaccurate in relation to Bob Bellerue's vast body of work. An artists delivers sounds in contrast to talent, experience and emotions within the current frame of time. Like the agriculturist, the resulting yield changes over years, each cycle perched on a myriad of uncontrollable factors. Music of Liberation is dedicated to Bob Bellerue's friend and colleague Z'EV. His passing occurred near the end of the completion of this composition. These sounds were recorded before Z'EVs departure from mortal constraints, but clearly the fabric of synchronicity is woven within these tracks. Vast emptiness filled with volatile outburst, all amazingly subdued under spiritual sagacity. Four record sides, four single tracks, one on each side, every moment a conduit for conscious connection between inner self and the unexplored spaces beyond. This lengthy composition opens with sheer sonic weight. Gravitational forces in line with cosmic bodies rather than planetary objects. Feedback created from the pressure of time and proximity, a massive psi-wave for planetary dispersal. Is this the echo man has created returning from it's future, or some rouge planetary consciousness dispersed from a distant super nova? In either case, a sound wave tsunami. All will need to establish higher ground in order to ride out it's intensity. Moving past the cacophony of the first side, this twenty minute piece is the most straight forward. Electronic drone like beginnings revealing the softest touch of serenity, maintained on the sonic path for as long as possible. At some point this sustain deliquesces and a much darker side is imparted. Refreshingly these sounds tilt towards ambient introspection, but are meticulously held in check. The slow motion pace allowing details to really be heard and taken in, communicating how skilled Bob Bellerue is. Hauntingly spiritual, the third side touches on man's implied border between the physical and ethereal worlds. Almost ritualistic, possessing every so slightly a Gamelan quality, Bob Bellerue allows these two planes to touch. A resonance of timeless ambiance, fueled by souls who have past. Maybe a process of channeling this collective emotion or some method of physical conductivity from a unseen realm, in either condition, the listener is both entranced and disturbed. Although there is a solemn quality to this entire composition the last side forms this shape more so than preceding tracks. Void of sonic disturbances until the end, these sustained sounds drone with a modicum of fever and preciseness. Like listening to some distant transference of massive energy, fluctuations have been suppressed because sound waves have traveled through the atmosphere. The explosive quality ate the end, relevant to the cascade of all cosmic events. 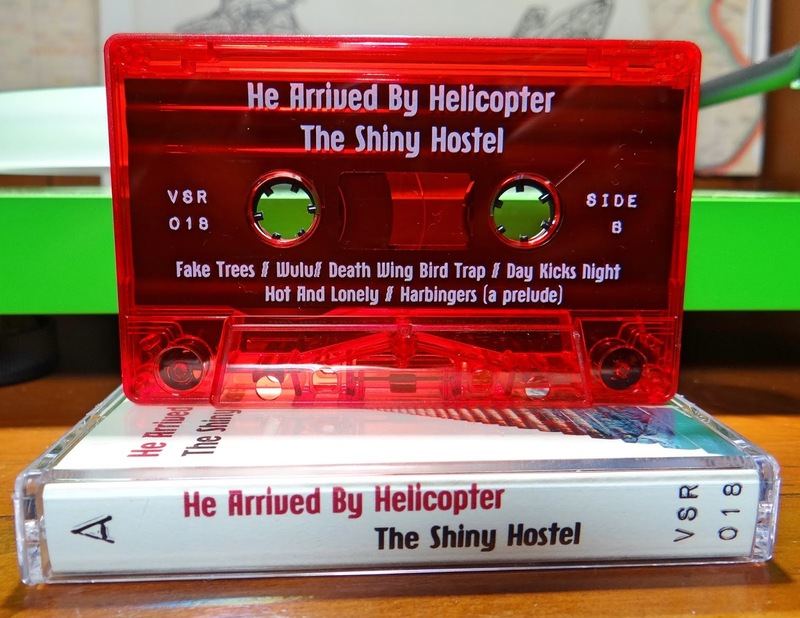 Released in an edition of two hundred and fifty on the Elevator Bath label from Austin, Texas. This is a double heavy weight pressed black vinyl album, with beautiful colored jackets and poly lined inner record sleeves. The physical qualities match the recording caliber, with mastering for vinyl by James Plotkin. 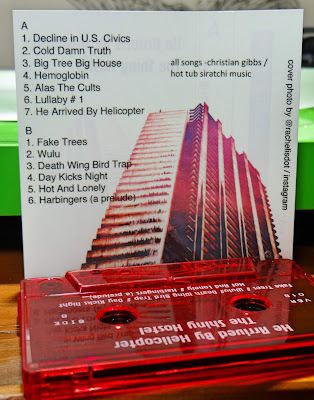 With the above synopsis of the physical aspects for this recording in place, the noteworthy hallmark to remember, this is an Elevator Bath release. 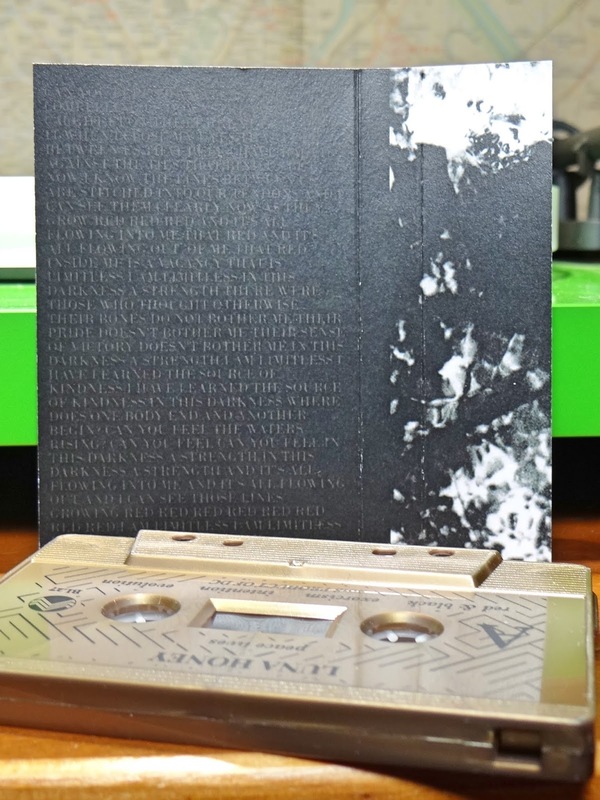 From all previous releases to those still to come, Music of Liberation upholds the radiant thresholds the label makes home in.